Dillsboro Inn Riverfront Suites, an eco-tourist sanctuary directly situated on a 300' wide whitewater river in the Smoky Mountains. In many ways we are intimately connected to our Tuckasegee river with direct access to waterfront parks, playgrounds and shorelines for fishing and communing with nature. Located within walking distance to the historic town of Dillsboro, NC, known for it's many craft cooperatives and cozy restaurants. Each Suite has it's own vantage point to the river with balconies and gardens with a central riverfront courtyard where one can experience nightly campfires. Dillsboro Inn is smoke-free and selected ground floor suites are pet friendly. Welcome to the Dillsboro Inn, our Nature Sanctuary on the Tuckasegee River. TJ and Terry Walker welcome you to the Dillsboro Inn and invite you to join them on a whitewater river, where the Blue Ridge Mountains meet the Smokies. Whether you are looking to spend a relaxing time on your riverside deck or boating on the river, the Dillsboro Inn is the place for you! Choose from one of eight thoughtfully crafted suites. Wake to the birds greeting the day. Enjoy your morning coffee by the river. Catch the sunlight’s reflection on the water. Feel the gentle breeze as it passes through our river valley. Go fly fishing in our streams. Discover Appalachia at its finest. Sit by the evening fire in the moonlight. Fall asleep to the sounds of the river. 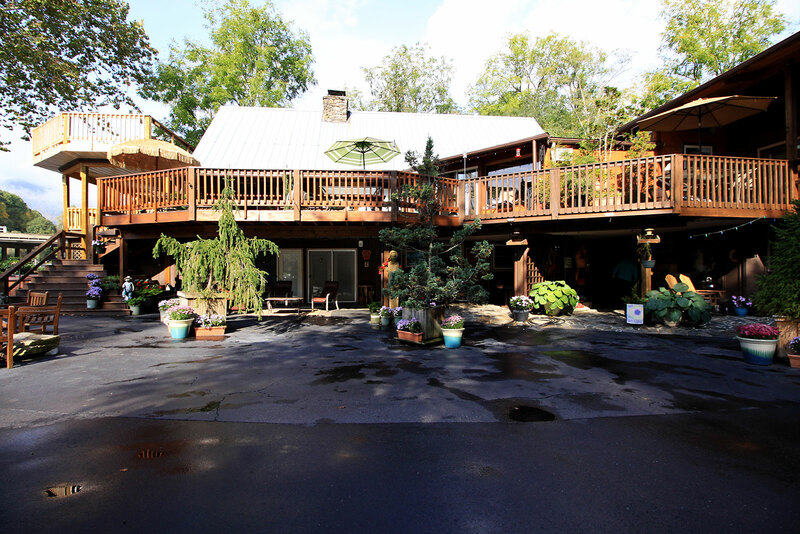 This is the Dillsboro Inn, our sanctuary!